I had the good fortune last weekend to go track riding at Calshot in Hampshire – a 142m banked track in the former Sunderland Flying Boat hangar on Calshot Spit. For those who haven’t done it, track riding provides a unique thrill: you ride on a fixed wheel bike (without a freewheel) so if the wheels are going round, so are your legs; and the ends of the oval track are banked (45º at Calshot), which is intimidating until you get the hang of it. “Speed is your friend”, as the coach reminded us at the start. The results, once you get the hang of it, are an exhilarating aerobic ‘buzz’ from the continuous pedalling, and a real feeling of achievement as you get used to holding your line high up the side of the track. One of the best descriptions of track riding is by Matt Seaton in The Escape Artist, on riding the outdoor track at Herne Hill in south London, although it ends with a dramatic crash. I’ve ridden at Herne Hill – it’s where I first tried track riding – and it is, sadly, in a poor state. The track is still in use but most of the buildings onsite are now shuttered up for safety reasons. 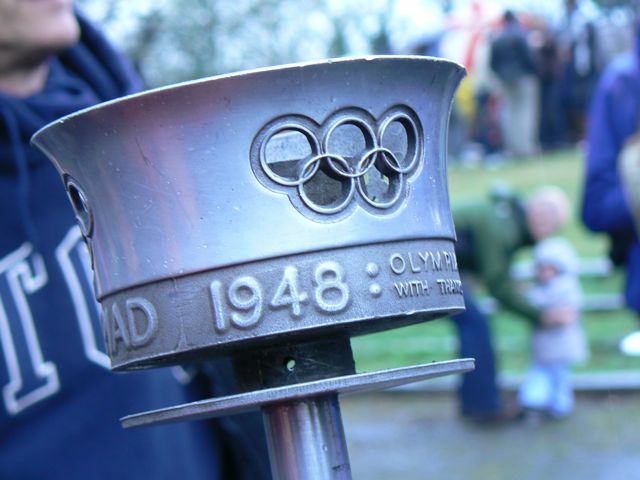 It was used for the ‘Austerity Olympics’ in 1948 – the ‘make do’ Games which probably saved the Olympic movement from collapse after the Second World War – and has a long tradition of track riding. (The sports writer Richard Williams caught this well in a recent column). The velodrome remains, until the 2012 Olympics, the only cycling track in London. The story of its decay is complex, but let me try to untangle it. The site is owned by the Dulwich Estate, a charity which owns 1,500 acres of Dulwich, and which bequeaths money to various schools and others in the area. 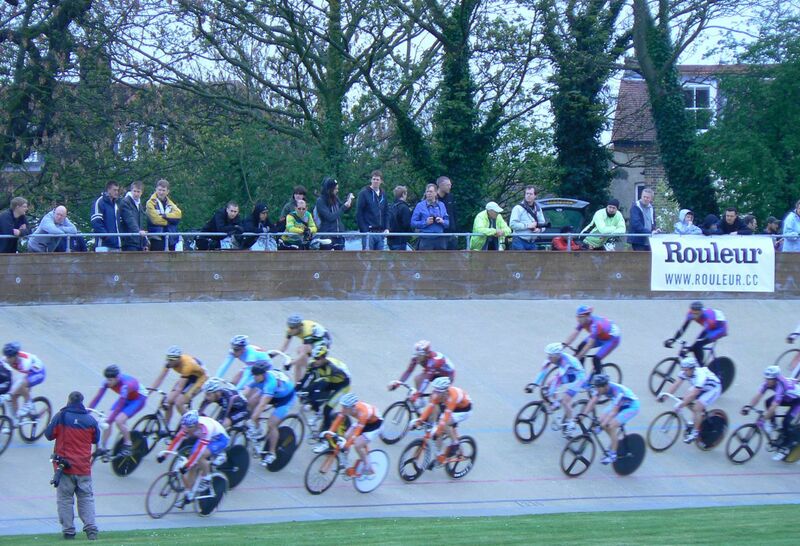 Week-to-week events at the track have been managed by the cycle club VC Londres for some years, and it is still well-used, while Southwark Council has held the lease. Dulwich Estate has declined to renew the lease, although they say they are keen to see the track refurbished; it’s listed and the site is protected urban greenspace. (But the fact that their charitable objectives are all about disbursing income to their largely well-heeled beneficiaries can make people suspicious of their motives, as does the fact that they padlocked the site in a similar lease dispute in 2005.). Locals have launched a campaign to save the velodrome; it attracted 700 people to a meeting in Dulwich College earlier this month.. The problem – in a local microcosm – goes to the heart of the inherent flaw in the idea of the ‘big society’. Cycling clubs, generally, are model ‘big society’ organisations. They’re usually well-run and durable. VC Londres, for example, was founded in 1964. But the stated reason why Dulwich Estates won’t offer a long lease to Southwark Council on the Herne Hill site, which includes other cycling and leisure activities as well, is because they want the site run professionally. Without a long lease, it’s impossible to justify the investment needed to resurface the track (badly needed) and repairing the buildings. There’s some commitment from Lambeth and Southwark Councils, and Southwark has put up some cash. But to make the Herne Hill track sustainable, it needs to be usable in all weathers (the banking is dangerous to ride on when wet), which means finding enough capital funding for one of the imaginative schemes to protect the track from the elements. And that is likely to be beyond the scope of the best-run civil society organisations, without help from public or philanthropic funding. Perhaps it’s time for the Dulwich Estate to break the logjam it’s created by adding the site to its list of beneficiaries? It currently spends around £8m a year, and a small fraction of this could create a secure basis for a charitable Trust to take over the site, After all, the schools which currently take most of its money aren’t in the need they were (all are now fee-paying public schools) when Edward Alleyn’s money set it up. At least the Herne Hill velodrome site is open to all. 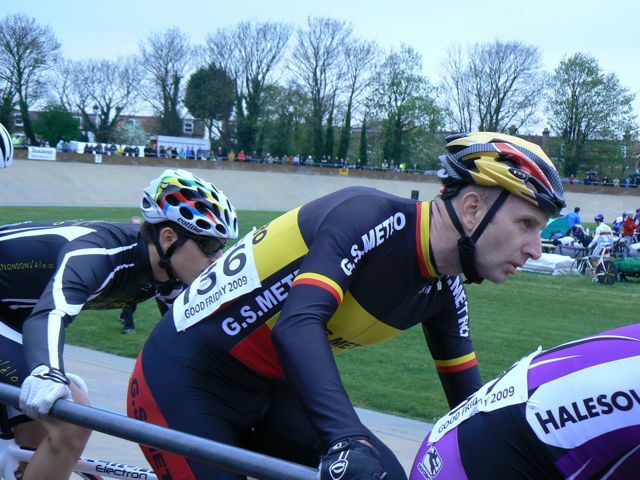 The pictures in this post were taken by Peter Curry at the 2009 Herne Hill Good Friday Meeting. They are posted here under a Creative Commons licence. 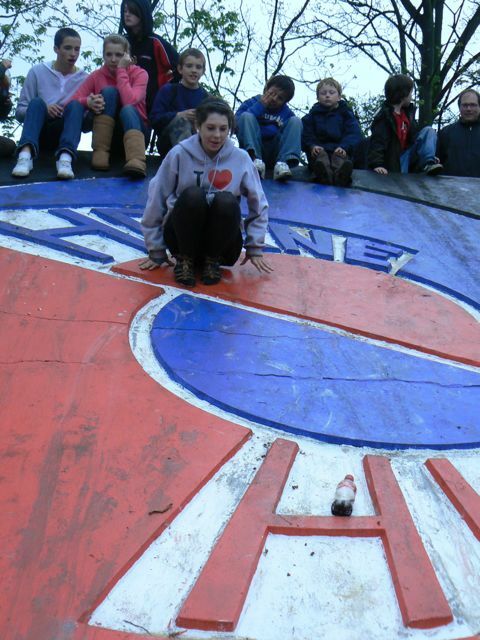 The Save The Velodrome campaign is building support; there is also a Facebook page.